Alion Science and Technology, a global engineering, technology and operational solutions company, today announced that Kevin Boyle has joined the company as General Counsel. Mr. Boyle’s expertise includes government contracts law and litigation, M&A, equity and debt financing, SEC compliance and intellectual property. He will support Alion’s worldwide growth strategy as well as corporate governance and ethics initiatives. 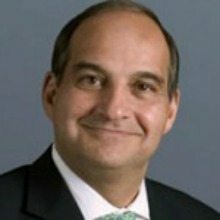 Boyle was formerly General Counsel for MCR, LLC, where he established the company’s first legal department and corporate governance functions and helped navigate the company through several important legal and regulatory challenges. Prior to that position, he served as General Counsel with Vangent, Inc., where he was critical to the success of both strategic acquisitions and the eventual sale of that company to General Dynamics for nearly $1 billion. Previously, he was Assistant General Counsel at General Dynamics through that company’s acquisition of Anteon International Corporation, where he led numerous M&A transactions and developed the company’s first ethics and compliance training program. Boyle completed his undergraduate work at Yale University and earned his JD at Tulane Law School. He will lead Alion’s Law Department from the Company’s McLean, Virginia headquarters.